Our Memorial Benches are chosen mostly for their unique ability to help create what are known as Contemplative and Therapeutic Memorial Gardens. Thousands of customers nationwide have placed these benches in private gardens, open space parks, cemeteries and school and university settings. The benches have created a wonderful area for reflection that is so much more welcoming than the colder more man made look of Granite or Concrete. Keep in mind that our benches are made from the hardest natural red flagstone in the world, stronger than marble but ever so soft to the eye and more appealing for the creation of a perfect memorial garden. 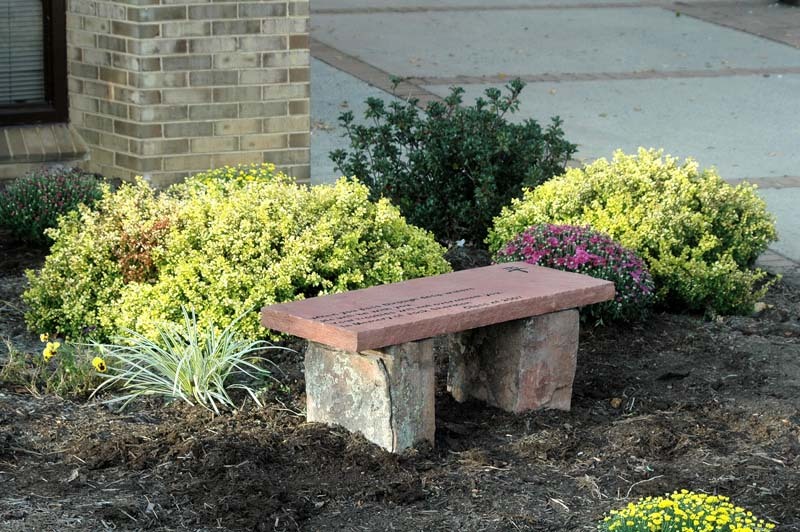 This is why customers throughout the U.S.A. use our personalized inscription memorial benches to create their own memorial garden.